As you walk down the gravel path lined with trees, there is a clearing of lush green fields and old barns. It’s as if you found a beautiful treasure tucked away in its own seclusion. On this day especially, it felt like traveling back in time. Everyone was dressed in traditional garb and you could smell the sulfur-tainted smoke billowing from the blacksmith’s tent. 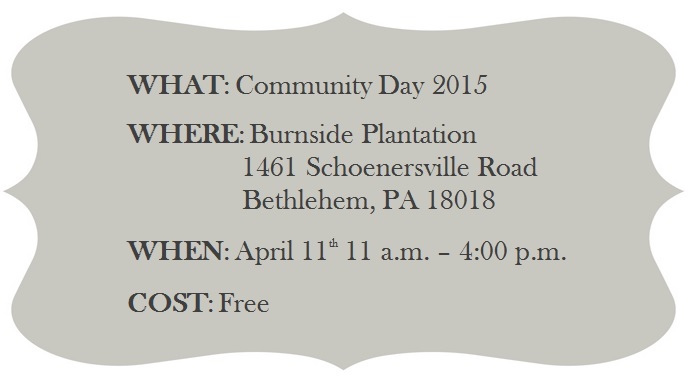 Community Day is an annual event offering free tours of the barns and farmhouse of Burnside Plantation. If you are not familiar with Burnside Plantation, you will be surprised to know it is in walking distance of a Wawa, CVS, and Lowes. In fact, it is nestled right behind the tallest building in the greater Lehigh Valley, Martin Tower – as you can see in the distance in the picture below. 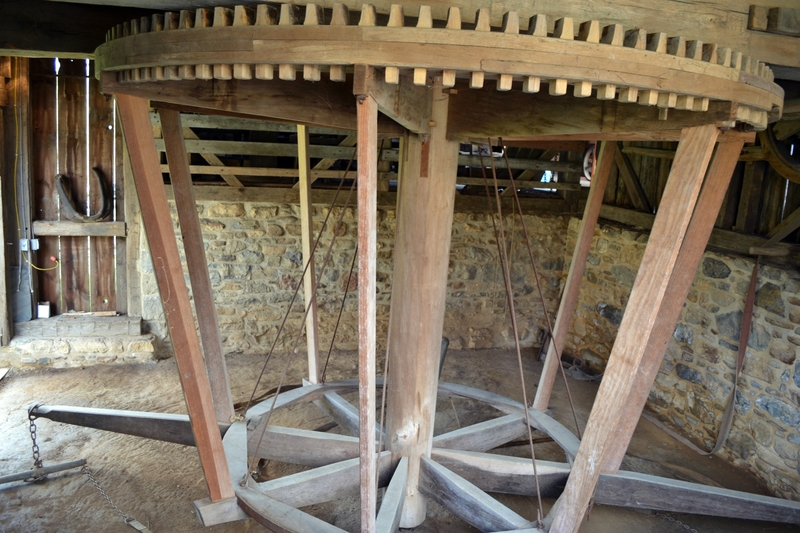 Walking the dirt trail, our first stop was the high horsepower wheel which resides in the Barn and Horsepower Shed. We were told that on field trips students station themselves around the wheel and try moving it. With some coaxing, myself along with other farm guests, gave it a try. The wooden gears were in great condition and moved so smoothly, the working condition of the machine was truly impressive for its age. After playing horse at the wheel, you could meet horses. All three of the Bethlehem Mounted Police horses: Raven, George, and Pharaoh, reside on the plantation. The stables had a very colonial feel with thick stone walls swallowing the interior. Each horse has its own stable with their name on a big wooden letter. You could tell the police really aimed to take good care of these sweet giants by how clean and tidy the stables were – with fine thoughtful touches. The tour guide for the horse stall was a pleasure to speak with and super informative! She also had a standard white poodle following along side, which I gushed over. The woman stood by Raven, the one horse who was “off duty” and in his stable. She tried to comfort him as his best bud and fellow horse, George, was outside on-duty greeting visitors. 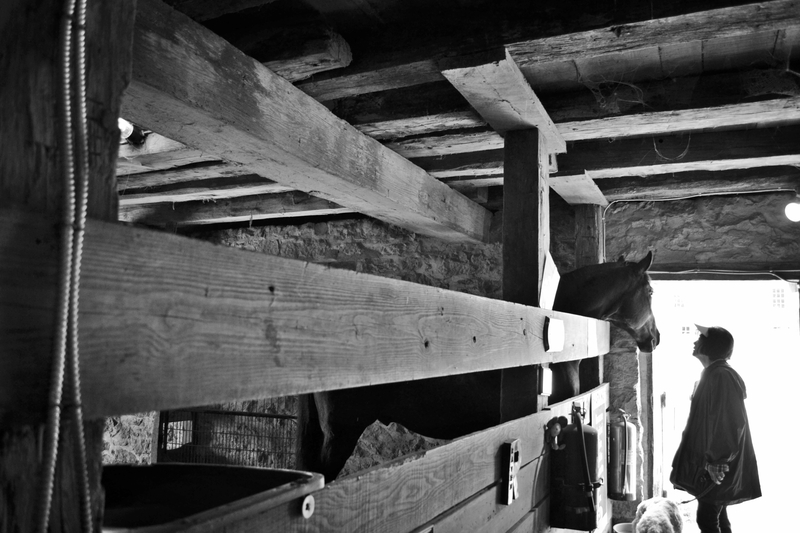 The horses reside on the bottom of the Barn and Horsepower Shed. Above the stable and high horsepower wheel is a gorgeous space – the ceiling beams draped with white canvas and adorned with wagon wheels. An enchanting venue perfect for a wedding! 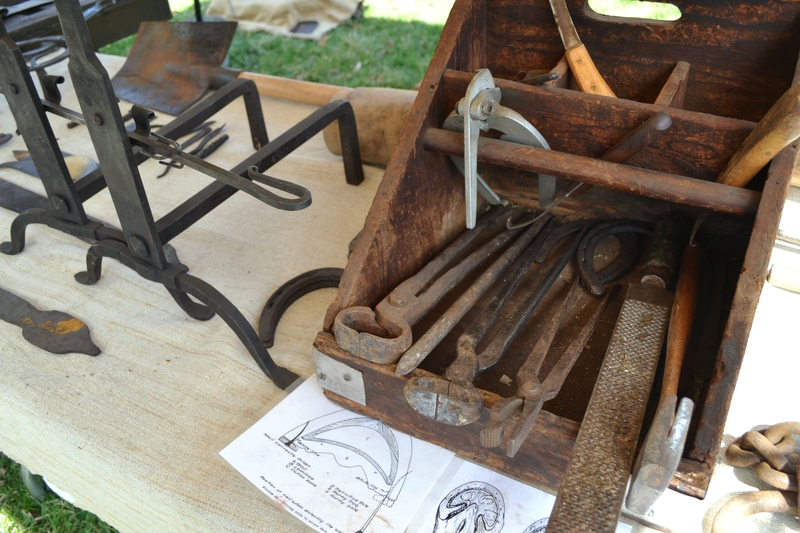 Walking further on the premises, there was a blacksmith tent and merchandise tables. Next on the stop was the Farmhouse. What stood out most to me on the house tour were the ropes that acted as box-springs on the bed – also, the creepy doll lounging on a chair next to a child’s bed. Rounding out the Burnside Plantation tour was the garden and visiting pigs. A great story I overheard was the a farm owner had chickens that she would tell, “Go home, girls” and to this they went back in their chicken coop. One time she had someone looking after the farm for her. The caretaker complained later to the owner how she could not get the chickens back in their coop. The farm owner laughed and told her the secret cue. The caretaker then tested the “Go home, girls,” and by golly the chicks obediently did so! Overall, Community Day was a morning well-spent! 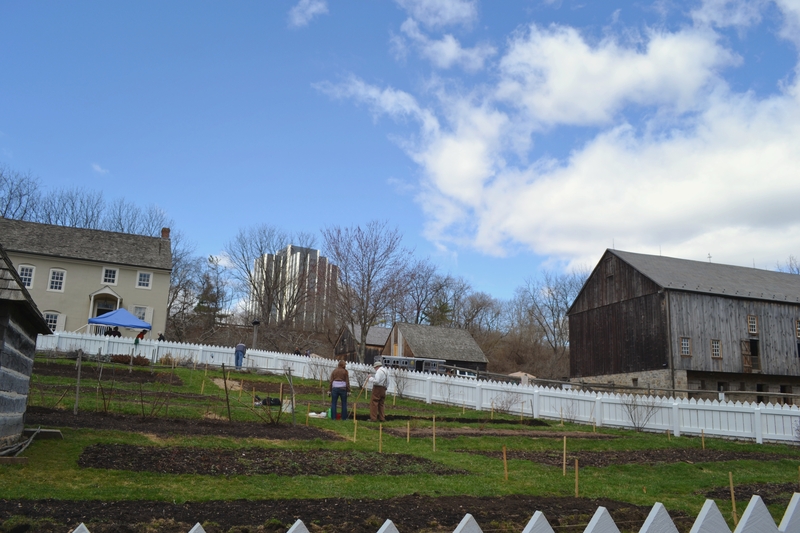 I learned so much about Burnside and loved chatting with the volunteers who are so passionate about Bethlehem’s rich history that they give their free time preserving and promoting it. If you missed this event, I highly suggest checking it out next April!